The manual (download from the right-hand column) outlines the course objectives and provides an overview of the modules, course theory and background, information on how the local implementer should prepare/modify the materials before the training begins, the estimated time required for each module, information on materials and facilities needed for implementation, pre- and post- test questions and further resources. Downloads of detailed course materials and notes for facilitators are provided under the further Resources section below. The course consists of seven modules, which are presented over the course of five consecutive days. The USAID Adapt Asia-Pacific publication 6 Things to Know about Urban Adaptation highlights the key learnings from the course. 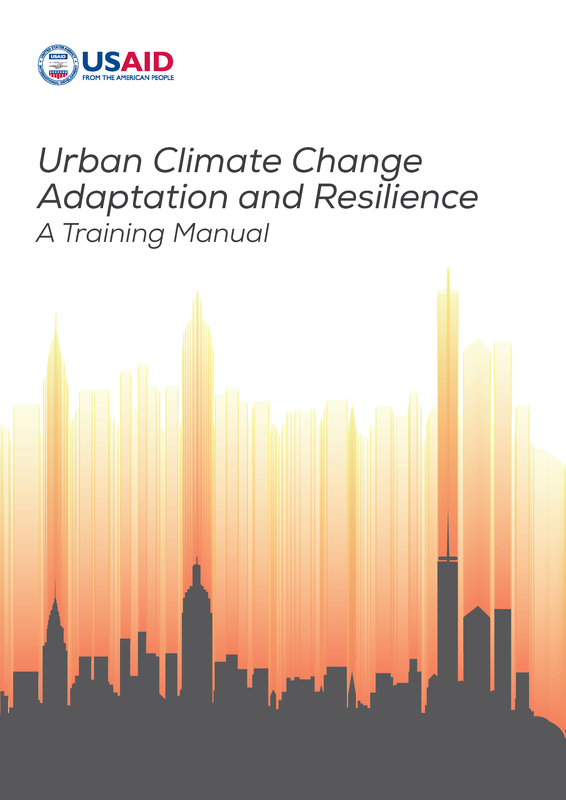 USAID Adapt Asia-Pacific (2015) Urban Climate Change Adaptation and Resilience – A Training Manual. USAID Regional Development Mission for Asia: Bangkok, Thailand.